Some patients feel that the lobe of their ear is too large (mega lobe) or misshaped. It is a relatively quick procedure to reshape the lobe to the desired form. Facial Rejuvenation Center is the premiere medical spa for laser hair removal in New Jersey. 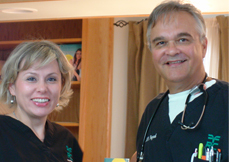 Our team of medical professionals has performed thousands of procedures. Laser360 stimulates new collagen to grow, which improves you skin’s texture and tone for fine lines and wrinkles. This treatment creates thousands of tiny perforations in the skin, similar to pore sizes. Now you can have gorgeous Eyebrows, Eyeliner and Lips all the time, Day or Night, Rain or Shine! Are safe, gentle and long lasting. So what are you waiting for? You know that you need to nourish your skin to keep it as healthy as possible. But are you getting enough of the right nutrients from the foods you eat? Could you benefit from taking a supplement or trying an antioxidant-packed lotion? Facial Rejuvenation is more than doing cosmetic surgery. Our philosophy is very simple. Before any invasive procedures are done, every patient is given a consultation and an individual cosmetic treatment plan is tailored to every patient. Our philosophy is that the least amount of treatment is always the best. Thanks to the latest technology, soft, naturally beautiful permanent makeup is being done at our center. Now you can have gorgeous eyebrows, eyeliner, and lips all the time, day or night, rain or shine. It is safe, gentle, and long-lasting. We will develop a treatment plan that is designed specifically for you. Consultations are always complimentary. Email us or call us today for your free consultation.